Welcome to Louisiana's capital city! 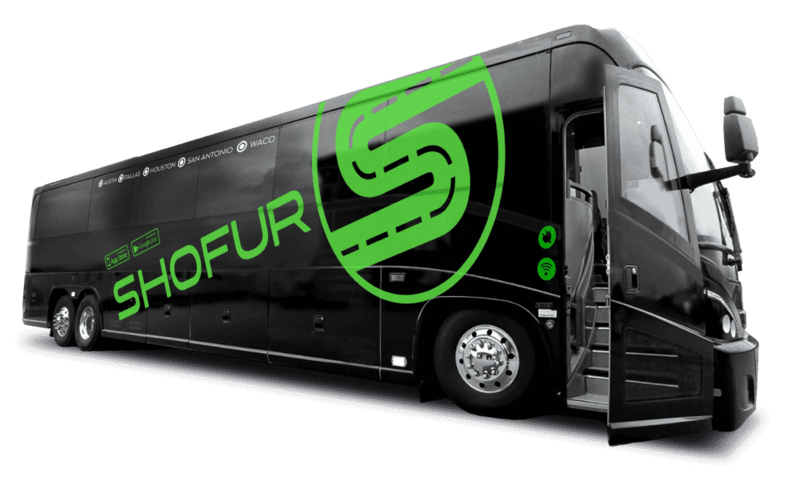 If you're looking to rent a charter bus in Baton Rouge let Shofur do the work. We have access to the most buses surrounding this beautiful city. Buses range in size from 20 passenger to 55 passengers. Whether you're planning a business trip with all of your work associates or a fun family getaway, one of the best ways to transport your medium to large sized group is with a charter bus. We specialize in determining the exact style of bus that's best for your group’s unique needs. All of the buses we charter are clean, reliable, and will give you and your group the space necessary to arrive at your destination in complete comfort. The next time you're traveling in or around Baton Rouge and need affordable and efficient group transportation, give us a call at 1-800-436-8719. Our agents are available 24/7 to help you plan your travel transportation. Groups traveling around Baton Rouge for school field trips or family gatherings can enjoy a show or rent out venue space at the Shaw Center for the Arts. The Shaw Center offers visual and performing arts shows for all audiences, and even offers dining and event rentals for groups planning large-scale events. If your group is traveling for a field trip, family reunion, or even a business event at the Shaw Center, Shofur has transportation options to suit your event. From full-sized charter buses for a major business event or a compact minibus for an academic outing, Shofur has access to the perfect charter bus for your group. The Shaw Center for the Arts has plenty of convenient bus parking and makes a wonderful destination for an afternoon to appreciate the local art scene. Including The Shaw Center, Baton Rouge features many different arts attractions to keep all members of your group entertained - visitors can explore arts museum, enjoy a talk at the Shaw education center, or see a show at the Manship Theatre. Baton Rouge is a great day trip destination for groups traveling to have an exciting afternoon or evening at The L’Auberge Casino. Grab a big group of your friends and family to travel into Baton Rouge with private transportation provided by Shofur. We’ll find your group a modern and comfortable minibus to shuttle everyone to and from the casino safely. Travel into and around Baton Rouge with WiFi, climate-controlled interiors, reclining seats, and more on board your private charter bus. The L'Auberge Casino and Hotel is a sprawling complex which offers gambling, fine dining, a full golf course, and even a spa. Guests can also stay in an elegant hotel, where visitors are pampered and can relax before continuing their trip. Whether you’re traveling into town for a day or even a full weekend, The L’Auberge and other local casinos give visitors plenty to do. After enjoying The L’Auberge Casino, your group can hop on your private charter bus and shuttle over to Mall of Louisiana, a huge indoor mall in the heart of the city. While there's more than a few shopping opportunities in Baton Rouge, Mall of Louisiana is a premier destination to get anything and everything your group may want. This sprawling two-story mall has plenty of your favorite stores that you'd expect to see, but also quite a few locally owned and operated venues. Renting a charter bus also gives your group the freedom to go from location to location without needing to worry about your belongings. Everyone can comfortably leave their shopping bags and belongings on the bus while continuing to explore Baton Rouge. The Old Governor's Mansion and Louisiana’s Old State Capitol are remarkable pieces of Louisiana's history. Both locations are ideal for school field trips or even for groups traveling into Baton Rouge for the first time. The Governor’s Mansion and Old State Capitol are stately historic locations that are now focused on education and preservation. Shofur ensures safe travels for academic groups traveling to historic locations with a private motorcoach. Charter buses are significantly more comfortable and offer more amenities than traditional yellow school buses. This will keep every student and chaperone content and satisfied during a field trip. Whether you're in the city for business or for pleasure, you'll want to add the Atchafalaya Basin Bridge to your list of stops in Baton Rouge. No matter what brings you to the city, this bridge offers expansive views of Louisiana’s waterways. Your personal charter bus driver can shuttle everyone across the 20-mile bridge for pictures and a once-in-a-lifetime experience. The bridge is the 3rd longest in the entire United States, and the 14th longest in the entire world - it stretches for over 18 miles. Your passengers both young and old are sure to be delighted with this scenic route that boasts a true vision of the South. Groups of students interested in attending LSU can plan a trip to tour the college’s campus with a private charter bus. No matter where you’re traveling from, Shofur is available to organize transportation for your academic group to hit the collegiate grounds. Sports fans can also benefit from organizing private transportation to campus for major LSU football games. Tailgate before the game on your own time with a personal charter bus! No matter where you’re traveling to in Louisiana, we're here to provide you with the best possible bus rental experience. Whether you’re planning a trip around New Orleans, Baton Rouge, or Shreveport, we’re here to provide excellent service. Our rental experts are standing by 24/7 at 1-800-436-8719 to take your call.